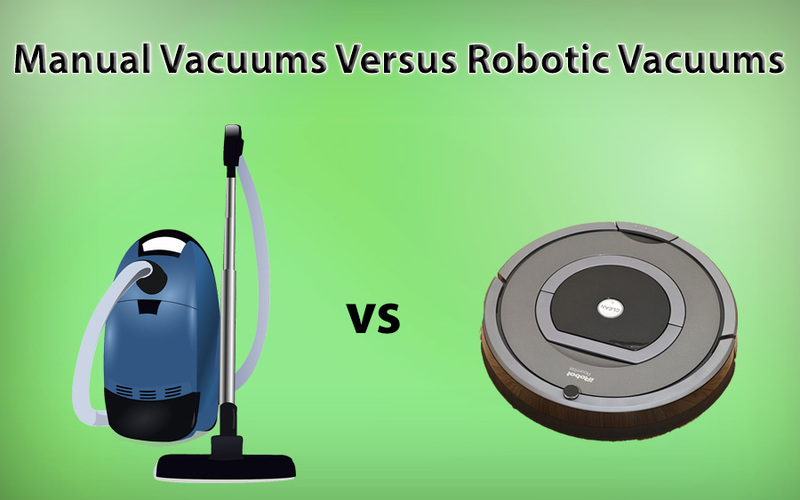 Looking at what robot vacuums cleaner can do and what your regular manual vacuum cleaner can also do. Modern technology has given us so many technologically advanced gadgets and stuff. One of these technological advances are the advances in the creation of robot vacuums cleaner machines. Before vacuuming your house requires a person to operate the machinery but now, a new breed of vacuum machines have taken the person out of the equation. Introducing the Robot Vacuums Cleaner. Should you get one for your household? You can answer that question alongside with your family by looking at what robot vacuums cleaner can do and what your regular manual vacuum cleaner can also do. The floor type you have may have some effect on your choice of a vacuum cleaner because if we are talking about efficiency in cleaning, the manual one still beats the robot one. If you have pile carpets that are thick, you may want to stick with your old fashioned vacuum cleaner, but if you have thin carpets and rugs or flat surface flooring, then you can go for the robot vacuums cleaner since it is great at sweeping dirt off the floors. How much you like vacuuming would be the number one factor that might drive you to buy or not to buy this robot vacuum. The size of the home may bear some consideration but if you are essentially a person who hates vacuuming then no matter how big or small your house is, may not matter to you. You might get yourself a robot vacuums cleaner just because you hate vacuuming so much. Allergens can be a factor in some household because robot vacuums may not clean as well as your manual ones. This may cause allergy attacks to happen more often so if you have any family member who has allergies then stick to your manual vacuum cleaner. You may need to empty out your robot vacuums cleaner more often than your manual ones especially if you have pets at home. This can become a real problem especially if you have a big floor area. The robot vacuum is very minimal in design and size. Therefore, it has a very small trash bin capacity. Some units will not continue to clean unless their trash bins are emptied out. Robot vacuums can only deal with your floors while your manual ones can be used almost everywhere in your house. Just as it was mentioned above, the robot vacuum is a perfect floor sweeper but will still not clean as good as a manual vacuum cleaner. for pet hair vacuum cleaner visit miniwick.com. Your manual vacuum cleaner, upholstery, curtains, floors, and stairs. The robot vacuum cleaner can only deal with your floor. However, the robot vacuums cleaner are more energy efficient than your manual ones. Since it runs on batteries, these robot vacuums will charge up and then go. You also have the option of setting a cleaning schedule that your robot vacuum will follow. If you are someone who wants to get the most out of your investment then getting a robot vacuum cleaner might not be for you. IT doesn’t clean nearly as many places as your conventional vacuum cleaner can but if you are someone who despises sweeping and vacuuming then, by all means, get a robot vacuum cleaner!